Perched over Union Square, the fourth-largest hotel in town bustles with activity, but its size is by no means overwhelming. 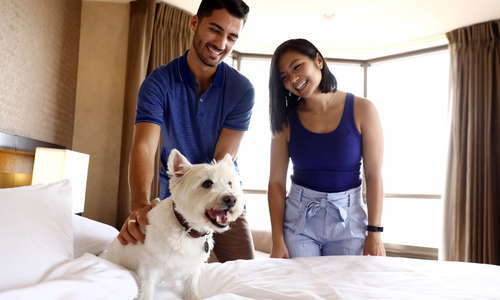 Three dining options, complimentary coffee service in the rooms, and access to a pool and state-of-the-art fitness center please business travelers. Spacious standard rooms come with one king-size or two double beds, flat-screen TVs, Wi-Fi (for a fee), handsome desks, and ergonomic chairs. 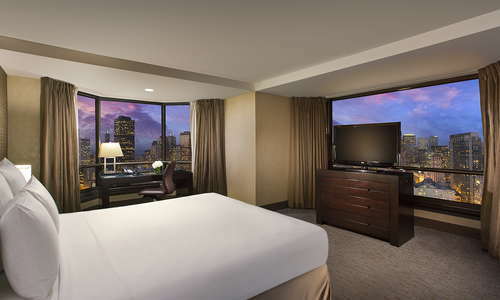 Love seats, placed by picture windows, offer a comfortable respite to take in city and bay views. 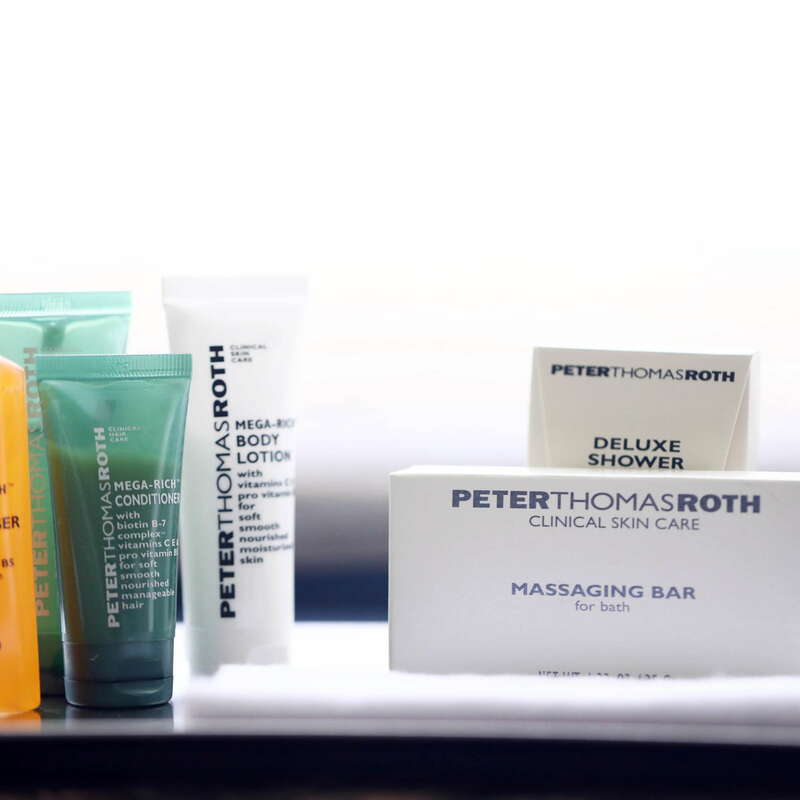 The bathrooms, while not particularly stylish, are clean and well laid out with large tiled rain showers and Peter Thomas Roth bath amenities. Ascend the escalator to enter the pristine white lobby. Hanging white light fixtures and a friendly staff greet travelers. Technologically savvy elevators (where you punch in your floor before hopping in the elevator) attend to the masses motoring through the lobby area. Cable 55 restaurant and bar occupies one side of the lobby, while a gift shop and the beloved Kin Khao holds court over the other. 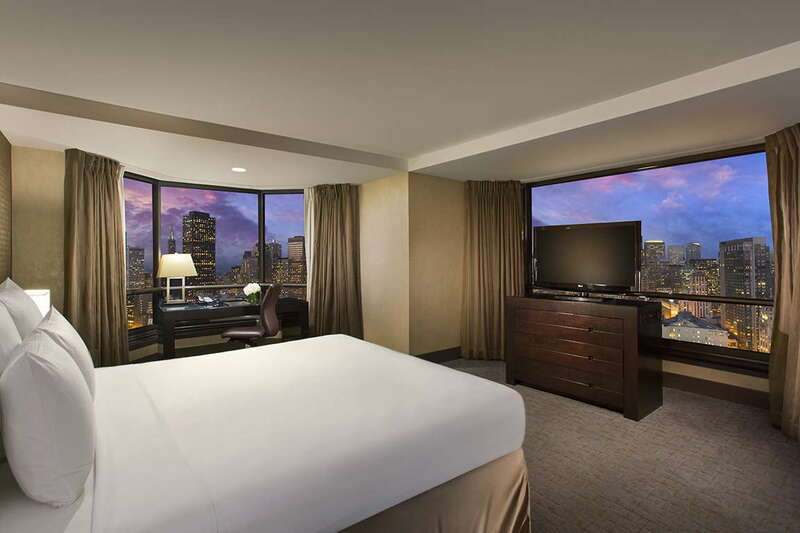 Hotel guests have access to the neighboring Hilton Hotel's outdoor rooftop pool and hot tub. 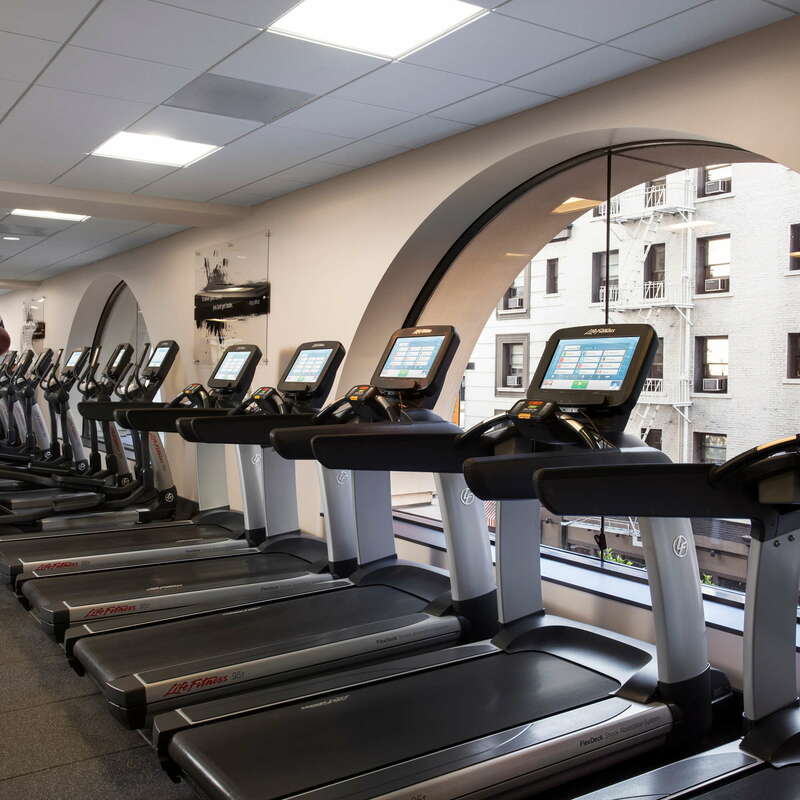 The large fitness center features yoga, cycling, TRX suspension training, strength conditioning, therapeutic stretching, and High Intensity Interval Training. 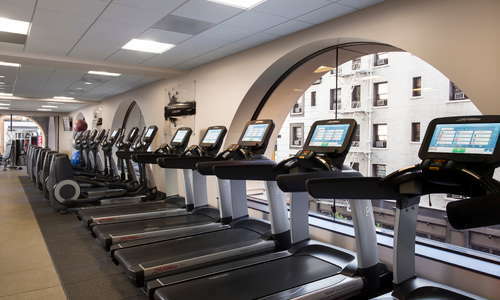 Electronic trainers coach guests through using the machines and maximizing their workouts. 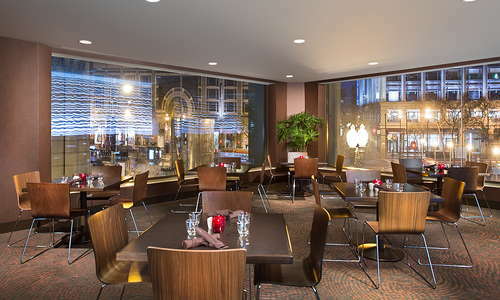 On street level, the hotel's Barbary Coast serves diner food throughout the day. 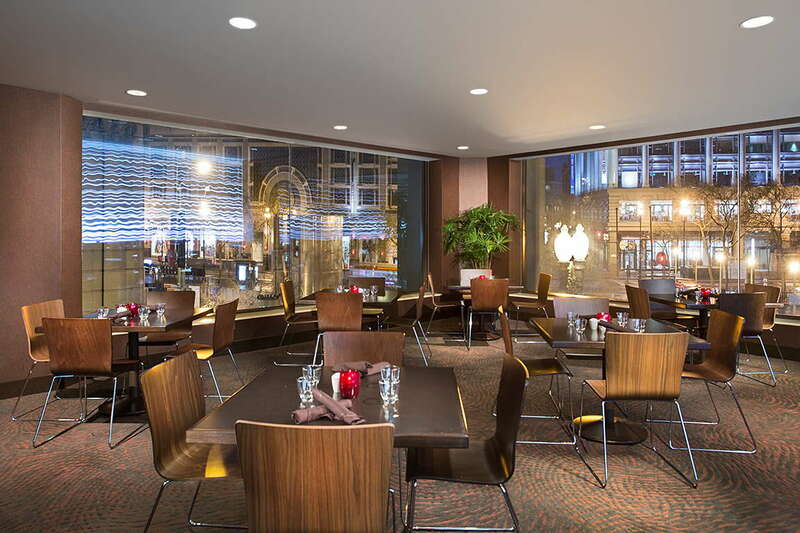 In the lobby, Cable 55 serves comfort food in a sleek ambiance. An ample breakfast buffet and lunch/dinner faves like macaroni and cheese make this a family favorite. 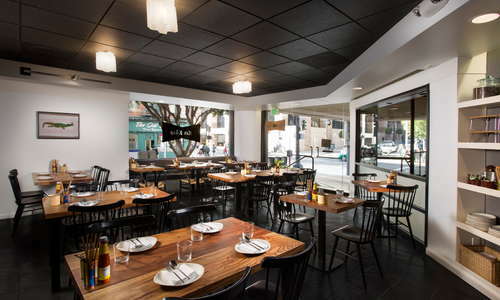 Quite possibly the superstar of San Francisco's hotel dining scene, Kin Khao's innovative Thai treats rely on spices to deliver dishes like a spiced duck soup, homemade curries, or a Khao Yum, a spicy turmeric rice salad. 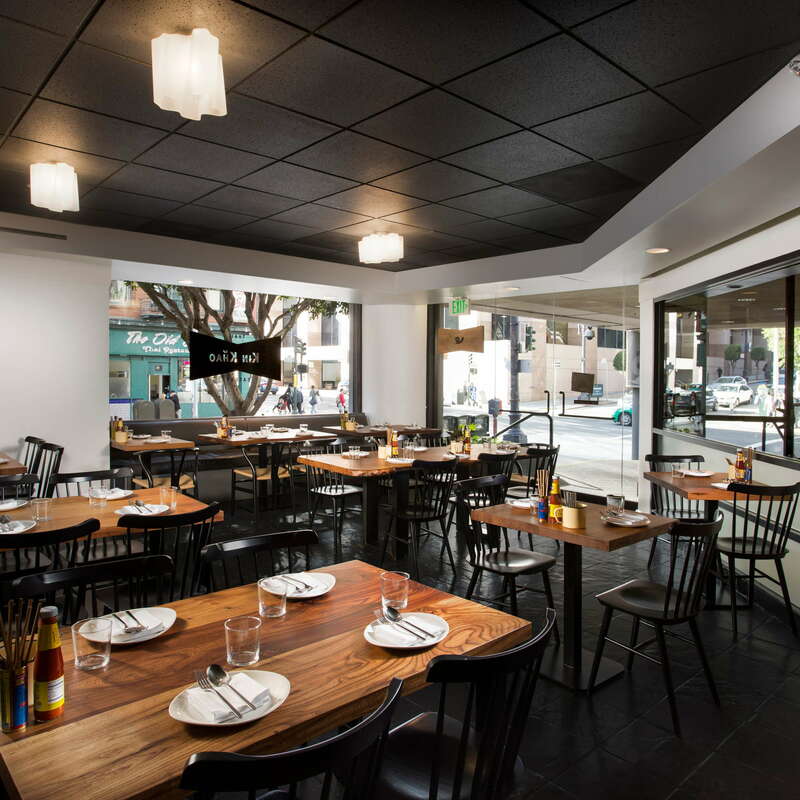 Enjoy a glass of vino at Cable 55 bar, or from Kin Khao's outstanding list. 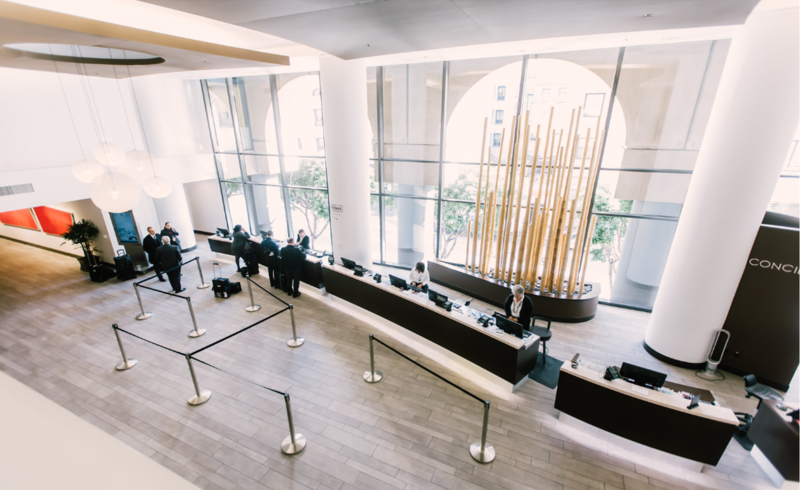 Valet parking rates are some of the highest in town (peaking around $70 a night). The hotel's location on the edge of Union Square, and across from SoMa's museums and Moscone Center pleases walkers. Hop on the cable car (a block away) or Muni/BART trains to access Fisherman's Wharf, Embarcadero, Golden Gate Park, the Mission and Castro, and the San Francisco and Oakland airports. The gospel brunch at farmerbrown (5-minute walk) pairs well with the mint julep and fried chicken that made this property popular with locals. For a more casual affair, line up for meaty pitas at The Halal Guys (7-minute walk). 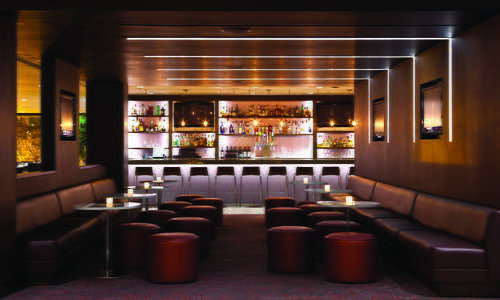 Score the password (hint: check the website) for San Francisco's premiere speakeasy Bourbon & Branch (7-minute walk). The only challenge is deciding which of their stiff cocktails to choose. 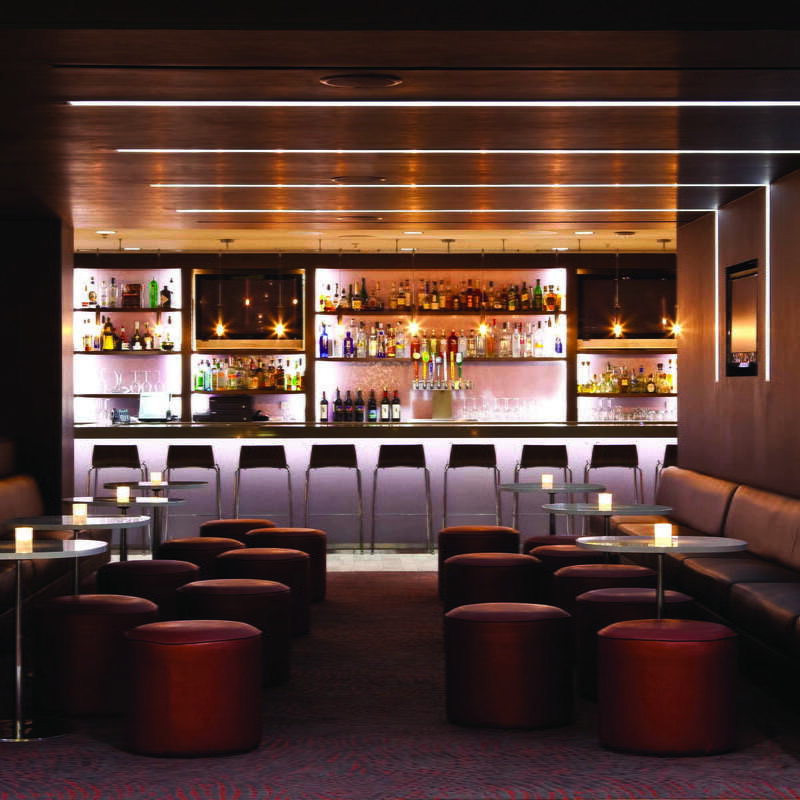 Head over to the award-winning Douglas Room (7-minute walk) for craft cocktails in a mellow environment. 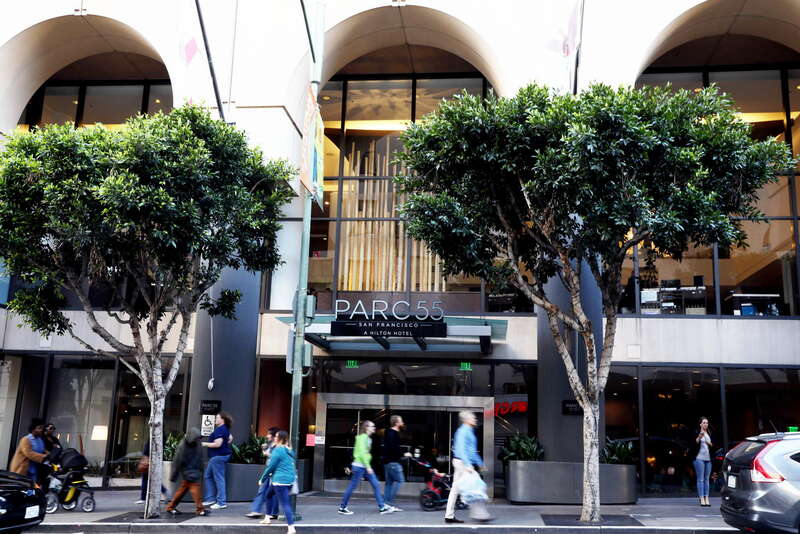 A megalith in the San Francisco hotel scene, Parc 55 has plenty of experience pleasing guests--one of the city's best Thai restaurants, spacious rooms, and access to an outdoor pool make this a prime choice for business travelers.